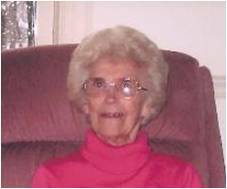 Mrs. Kathryn â€œKayâ€ Nettleton, age 100, of Salamanca, New York, died Tuesday morning, March 12, 2013 at the home of her daughter, Gail Nettleton, in Millersville, MD. She was born July 9, 1912 on the Kelly family farm in the Town of DeKalb, NY, the second of ten children of the late Edward B. and Corinne Gilbert Kelly. On November 3, 1947, she was married to Mr. Roy Nettleton, a Salamanca High School teacher, who predeceased her on September 14, 1999. Mrs. Nettleton graduated from the A. Barton Hepburn Hospital School of Nursing in 1933 and worked as a registered nurse at that hospital in Ogdensburg, NY, before being employed as a Registered Nurse in the elementary schools in Salamanca. She retired from the school system in 1978 and enjoyed many years of traveling. She was a member of the former St. Patrick's Church, Salamanca, New York. She is survived by her daughter, Gail Nettleton, and son-in-law Donald Vogt, and by her sister, Barbara (Ira) Smith of Acton, MA. She was predeceased by three sisters, Mrs. Paul (Marian) Briggs, Mrs. Stan (Ann) Sovie and Mrs. Earle (Betty) Johnston; five brothers, Arthur, Everett â€œJimâ€, Hugh, Edward and George Kelly; and numerous nieces and nephews. Friends may call at the Oâ€™Rourke & Oâ€™Rourke, Inc. Funeral Home, 25 River Street, Salamanca, New York on Sunday, March 17, from 12:30 p.m. to1:30 p.m. Funeral services will be held immediately thereafter at the funeral home, with Deacon Michael Anderson, of Our Lady of Peace Parish, officiating. Burial will be in the Spring in Green Cemetery, Great Valley, New York. Memorial donations may be sent to Homecare & Hospice.